Natalie Weinberg is joining the Laughing Mother Farm team this season. 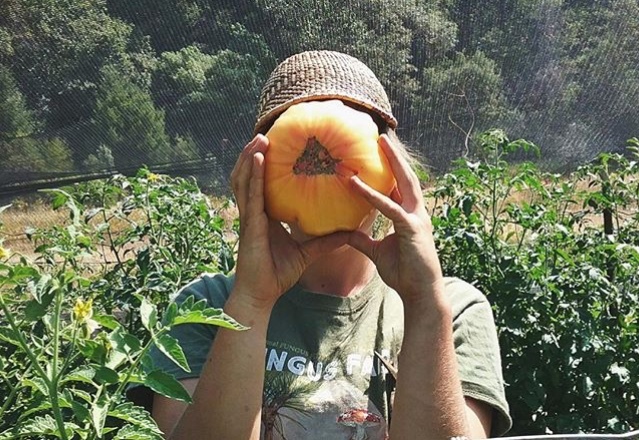 Her passion for farming was sparked at the age of 20 while interning at Bayside Park Farm in Arcata, CA during her time at Humboldt State University. 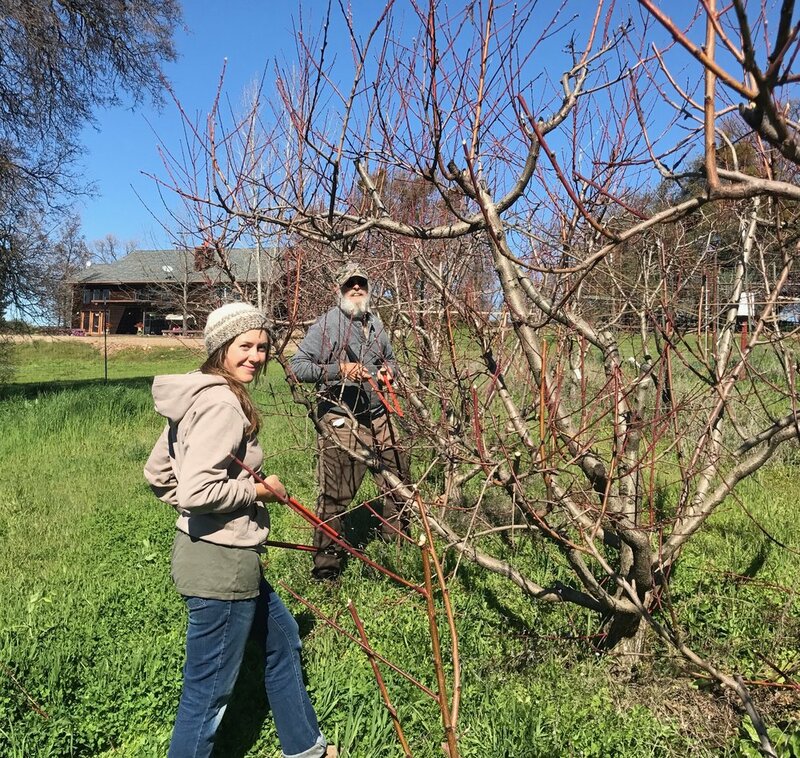 After receiving a BS in Environmental Science/Ecological Restoration, she was offered an opportunity to live and learn about ecological farming at Neukom Family Farm, a family-run farm and orchard in Humboldt County. She returned to Bayside Park Farm for a season, working closely with the community on the farm and at farmers' markets. Tyler and Natalie met and made plans to farm together as their relationship blossomed. After spending much time in Arnold and Murphys throughout her childhood, she is happy to have followed her heart back to Calaveras County. Natalie's passion to feed people nutrient-rich, fresh food has been cultivated through a number of opportunities. Cooking at a local farm-to-table restaurant in Arcata, Cafe Phoenix, taught her how to creatively transform fresh food into delicious nourishment. She is excited to serve the Calaveras community through catering with Laughing Mother Farm. She now also works at the Natural Foods store, where she has been integrating into the Calaveras community.